Today marks the thirtieth anniversary of the controversial trade that brought first baseman Keith Hernandez from the St. Louis Cardinals to the New York Mets. In exchange for Hernandez, St. Louis received two pitchers: Neil Allen and Rick Ownbey. Allen and Ownbey would make little impact for the Cards. Hernandez, on the other hand, would help reverse the trend of years of losing and bring a winning culture back to the Mets franchise. Hernandez made his major league debut for the Cards in August 1974 and quickly established himself as one of baseball's finest players--both offensively and defensively--winning his first of 11 straight Gold Glove Awards in 1978 and being voted co-NL MVP, along with Willie Stargell, after an excellent 1979 season in which he led the NL in batting average, doubles, and runs scored. By no means was Hernandez a home run hitter--he generally hit around 10 to 15 long balls per season--but he more than made up for it by hitting for a high average, smacking a healthy share of extra base hits, and using his keen batting eye to get on base. Those attributes, coupled with his reputation for delivering in the clutch made him one of the most feared hitters of his time. Hernandez also possessed magnificent baseball instincts and was viewed as one of the most intelligent players in the game. Although, what made Hernandez stand out most among his peers was his superb defensive play at first. Hernandez had outstanding glovework and range, which allowed him to steal base hits away from opposing hitters. He was also fearlessly aggressive in charging bunt attempts, which often deterred rival managers from bunting and forced them to change their strategy. Moreover, his accurate arm gave him the uncanny ability to gun down advancing runners at any base. Hernandez's defensive skill set was so unique for a first basemen and his fielding abilities were so impressive that his excellence actually transcended the position. Yet, despite strong efforts from Hernandez and others, the Cardinals of the late Seventies were unable to win the NL East Division. 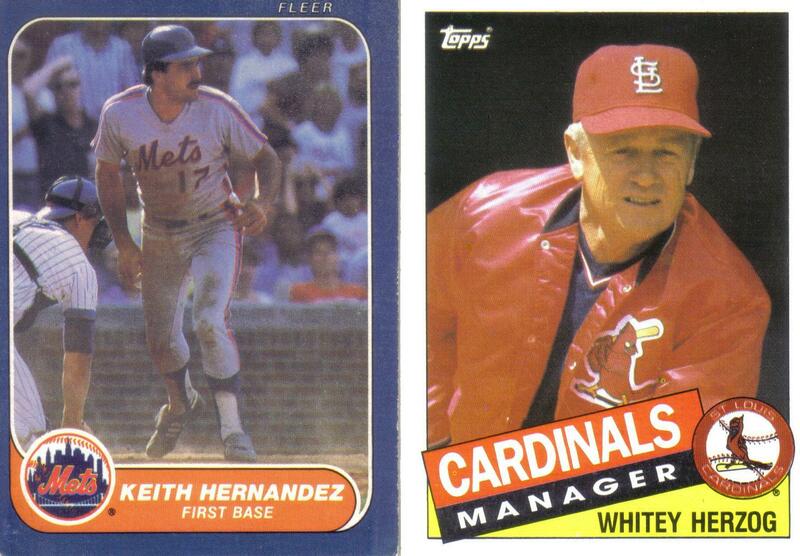 After an abysmal 18-33 start to the 1980 season, the Redbirds replaced manager Ken Boyer with Whitey Herzog. Herzog was just over a year removed from winning three consecutive AL West titles with the Kansas City Royals. By October of that year, Cards' owner Gussie Busch had hired Herzog to take over the reins as general manager, in addition to his duties as field manager. Herzog sought to strengthen his bullpen and defense as well as bring in speedy players whose style of play were well-suited for Busch Stadium, the Redbirds' vast home ballpark. The autocratic Herzog immediately put his stamp on what he perceived to be an underachieving team, controversially trading three All-Star players from his roster. 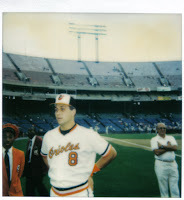 Herzog first dealt catcher Ted Simmons and third baseman Ken Reitz after the team completed the disappointing '80 campaign and then shipped off shortstop Garry Templeton following the '81 season in which St. Louis narrowly missed the playoffs. Those bold trades brought the Cards two future Hall of Famers, speedy Gold Glove winning shortstop Ozzie Smith and relief pitcher Bruce Sutter, who had won the NL Cy Young Award in 1979. With Herzog's retooled roster, the Cards were finally able to put it all together in '82, winning the NL East and beating two power-hitting teams, the Atlanta Braves and the Milwaukee Brewers, en route to the World Championship. The Redbirds' triumph was due in large part to Hernandez, who drove in a Series-leading 8 RBIs, including a game-tying 2-run single in the bottom of the 6th inning of Game 7. 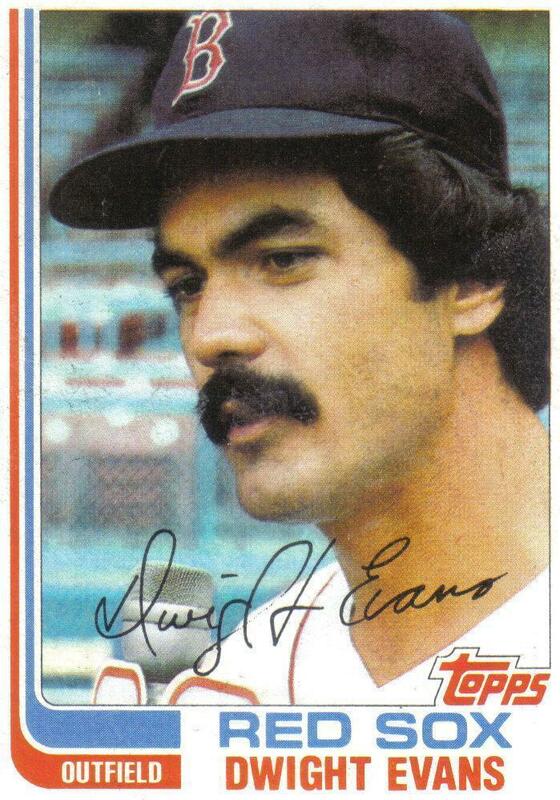 Hernandez started the '83 season strong, batting .354 in April but struggled the following month, hitting just .264. For the first week of June, the Cards rolled into Atlanta to face the defending NL West champs, whom they had swept in the previous October's NLCS. Both teams had played strong in the season's first two months with St. Louis leading the East by 3 games with a 26-18 record, while Atlanta trailed the red-hot Los Angeles Dodgers by 2.5 games despite a strong 31-17 record. Herzog's Redbirds dropped the first three contests before salvaging a win in the final game of the four game stand. However, it was Hernandez's listless play in the third loss on June 4 that drew the ire of Herzog. With his team down 6-4, in the top of the 9th, one out, Willie McGee on first, and George Hendrick on third; Hernandez grounded a Terry Forster pitch into a 4-6-3 game-ending double play. Grounding into a double play in that situation was bad enough, but it was Hernandez's lack of hustle down the line and what Herzog perceived to be his cavalier demeanor about the play that bothered the Cards' manager. Herzog already felt Hernandez's attitude had been deteriorating and years later wrote in his book "You're Missin' a Great Game", that it was at this point, that he decided the team should trade their Gold Glove first baseman. Though Herzog had stepped down as GM prior to the '82 season to focus on his managerial duties, his replacement, Joe McDonald, had been brought to the franchise by Herzog as assistant GM, so the Cards' manager still had strong influence over trades the club made. Hernandez heard whispers that Herzog and the Cards were working on a trade that would send him to the Houston Astros for third baseman Ray Knight and pitcher Vern Ruhle. Hernandez let Astros' assistant GM Bob Kennedy--a close friend and confidant--know that he had no interest in playing in Houston and would play out the rest of his contract, which ran through the 1984 season, and sign elsewhere. Hernandez's main reason for "blocking" the trade to the Astros was because his mother's side of his family lived near Houston and he found it difficult to play in front of family. Herzog and the Cards' front office did not appreciate their first baseman's "informal veto"--as Hernandez called it--of the trade and on June 15, Herzog broke the news to Hernandez that he had been dealt to the last place Mets for Allen and Ownbey. At the time of the trade, the defending champion Redbirds were first in the NL East with a 31-26 record and a 1 game lead over the Montreal Expos. Conversely, the 29-year old Hernandez joined a Mets team sporting a major league worst 22-36 record. Moreover, the Mets were coming off six consecutive losing seasons which included four last place finishes with a high watermark of 67 wins. Understandably, Hernandez dreaded joining the lowly Mets and felt that he had been "banished" by Herzog and the Cards and "shipped to the Siberia of baseball." At first, Hernandez considered retiring rather than report to his new team, but after some prodding from his agent, relented and joined his new team. Twenty-five year old right-hander Neil Allen was the centerpiece of the deal for St. Louis. Allen had been New York's closer for much of the past three seasons but after the emergence of Jesse Orosco and Doug Sisk, his role on the team had become much less defined. Allen came to St. Louis with a 2-7 record and a 4.50 ERA over 54 innings. New York had mostly used Allen out of the bullpen, but had also experimented with him as a starter, the role which Herzog and the Cards acquired the righty for. Allen's well documented issues with alcohol and stress mirrored the rumors of substance abuse that followed Hernandez around in St. Louis. Rick Ownbey, the other 25-year old righty in the deal was in his second year with the team and sported a 1-3 record with a 4.67 ERA over 34.2 innings. Ownbey had initially come up as a starter the previous August, but had split time in the rotation and the bullpen in '83. Upon receiving Ownbey, St. Louis optioned the young pitcher to AAA Louisville where he would finish out the year. Hernandez, himself was having a bit of an off-year, hitting .284 over 55 games with an uncharacteristically low 3 home runs and 26 RBIs. In his first two weeks with New York, Hernandez hit .415 over a 17-game stretch that included ten meetings against Herzog and his former team--games which the exiled first baseman helped the Mets split evenly. Nevertheless, the franchise and its players had been brow beaten by years of losing and Hernandez was finding it hard to resist the temptation to play for the good of himself over the team, as he had his eyes set on his impending free agency after the '84 season. However, in mid-August while taking batting practice from third base coach Bobby Valentine prior to a game at Candlestick Park, Hernandez's older brother Gary--himself a former minor league player for four seasons with the Cardinals--took offense to Keith's lackadaisical attitude and gave his younger brother a dressing down about the lack of respect he was showing his coaches, his teammates, and himself. Hernandez took Gary's words to heart and went on a tear after that series, hitting .362 with a .479 OBP over the final month and a half of the season to raise his final average to .297. Hernandez was unable to save the '83 Mets from another last place finish but their .442 win/loss percentage after the trade was much more respectable than the .379 clip they played at prior to the deal. By contrast, St. Louis struggled to stay above .500 after the trade, yet still found themselves locked in a four-way battle for the Division lead in the weak NL East in early September. Much to Herzog's chagrin, the Cards would collapse, winning just 7 of their last 21 games and finish with a distant 4th with a 79-83 record. Initially, the Hernandez trade yielded results for the Redbirds as Allen gave up just one run in 15 innings over the course of two June victories against his former club. But, by season's end, Allen was just another pitcher struggling to stay in Whitey's rotation, pitching at a league average 3.70 ERA over 121.2 innings with St. Louis. Mets GM Frank Cashen offered to trade Hernandez after the '83 season if the first baseman wasn't interested in re-signing with the team, since his contract only ran through the '84 season and the franchise preferred to trade Hernanadez rather than lose him via free agency. Hernandez had taken a liking to the city of New York and saw some promise in the young team but was afraid that by signing an extension with the Mets, he "would be signing up for six years of sixth place." Keith's father John and brother Gary both urged him to re-sign with New York, citing the promising pitching talent the franchise was developing in the minor leagues and how Keith would be the right fit to lead the young team. Hernandez remained skeptical but went against his gut and took his father and brother's advice and signed a 5-year, $8.4 million extension that would keep him in the Big Apple through the 1989 season. 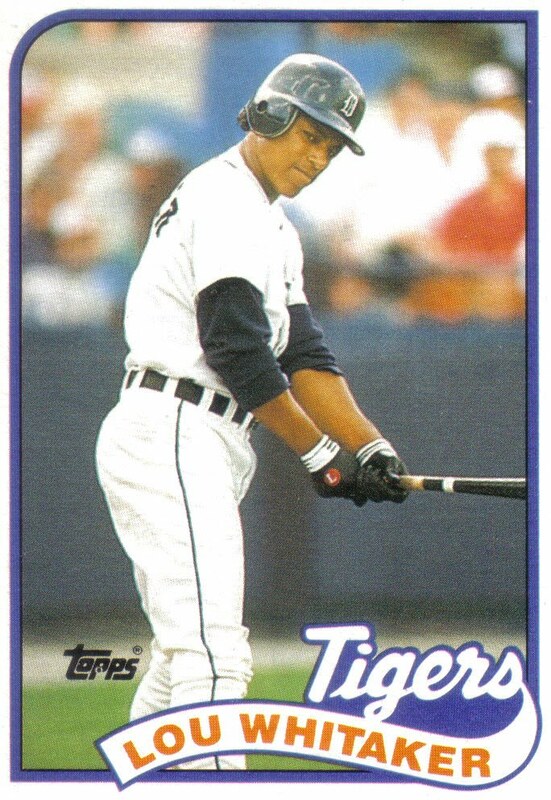 Hernandez's contract extension paid immediate dividends the following season when he won the Silver Slugger Award, batting .311 with 15 home runs and 94 RBIs. Hernandez also flashed the leather, leading NL first baseman in double plays turned and assists. Though the awards and statistics only tell half the story as Hernandez's presence was felt everywhere on the '84 Mets, whether it was his positioning of the infielders or the knowledge he passed along to teammates about opposing pitchers and hitters. Hernandez also stressed the importance of team camaraderie and clicked well with rookie manager Davey Johnson, who appreciated the leadership and wisdom his veteran first baseman displayed to his teammates. Moreover, with rookie Mike Fitzgerald handling the bulk of the catching duties, Hernandez guided the very talented but very raw pitching staff and helped with pitch calling. The '84 Mets weren't supposed to contend for the Division title but led the East as late as July 31, ultimately finishing six games behind the Chicago Cubs, in 2nd place, with a 90-72 record. The '84 Mets were actually outscored 676 to 652 over the course of the season, giving them a pythagorean record of only 78-84. However, the team rose to the occasion in one-run games going 29-20 with an NL-best .592 win/loss percentage and were an unbelievable 11-1 with a MLB-best .917 win/loss percentage in extra inning games. Hernandez batted .400 and drove in or scored the winning run in four of those twelve extra inning games including a July 24, two-out, 10th inning walk-off-RBI single against the Cards that, ironically, came off Neil Allen. Hernandez and the young Mets team quickly became the toast of New York and at season's end the slick gloved first baseman finished runner-up to Cubs second baseman Ryne Sandberg for the NL MVP. 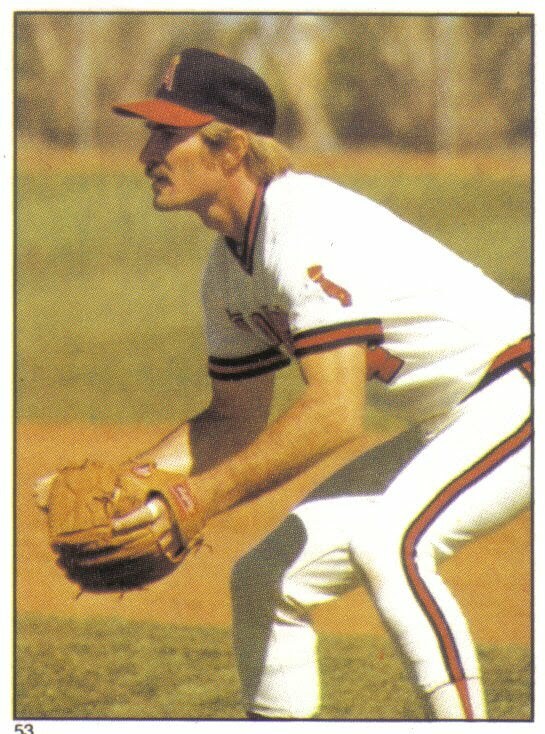 As for Herzog, his Redbirds were a non-factor in the Division race, spending most of the season struggling to stay above .500, finally managing to finish a distant 3rd after a late season charge that improved their final record to 84-78. Allen once again pitched at a league average level, this time out of the bullpen as set up man to Bruce Sutter, going 9-6 with a 3.55 ERA. Ownbey spent the bulk of '84 in Louisville but also made four starts for St. Louis, finishing with a 0-3 record and 4.74 ERA for the Cards. Unlike the previous year, Hernandez and the Mets went into the '85 season expecting to contend for the NL East crown. There was good reason to be optimistic: in Hernandez, the team not only had a great on-the-field leader but also one of the best #3 hitters in the game. The club also had Dwight Gooden and Darryl Strawberry, arguably the best young pitcher and power hitter in baseball. Their manager, Davey Johnson, had a full year at the helm under his belt and seemed to have the right attitude to fit the young, talent-filled team. What's more, the club had acquired All-Star catcher Gary Carter from the Montreal Expos during the off-season. The addition of a veteran receiver in Carter not only took the pressure off Hernandez to work with the pitchers, but also gave the team a lethal 3-4-5, lefty-righty-lefty combination of Hernandez-Carter-Strawberry in the middle of the order that would keep opposing pitchers out of sync. Contrary to New York, St. Louis was viewed as a long shot to win the East title in '85. During the off-season, the team lost closer Bruce Sutter to the Braves via free agency and Joe McDonald resigned his post as GM. Without a top level closer and front office ally McDonald, Herzog's managerial reign in St. Louis was viewed as being on borrowed time going into the '85 season. 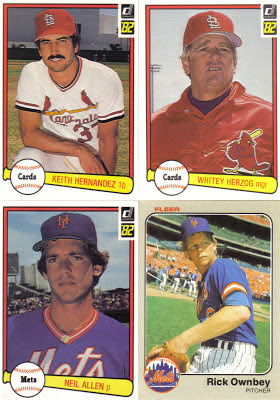 However, Herzog responded to the pressure by having what was, arguably, his finest year as a manager. One of McDonald's last moves as GM was to trade for pitcher John Tudor, whom Herzog was able to mold into the unexpected ace of the staff, going 21-8 with a 1.93 ERA. The Cards' front office also traded for Jack Clark, a feared power hitter whom Herzog was able to build his speedy offense around. With Clark as the only significant power threat in his line up, Herzog used the team's speed to keep the opposition off-balance, stealing an incredible 314 bases as a team with five different players swiping 31 or more bags. Though Herzog's most impressive feat that year may have been his piecing together of a bullpen-by-committee that, in the absence of Sutter--who had set a record-tying 45 saves in '84--combined to save 44 games. New York and St. Louis battled toe-to-toe in a hotly contested Division race, with the Cards winning an amazing 101 games to edge the Mets by 3 games. The Redbirds defeated the Dodgers in the NLCS but were felled by a blown call and upset by Herzog's former team, the Royals, in a thrilling seven-game World Series. At season's end, Herzog picked up a well-deserved NL Manager of the Year Award. However, 1985 was not a great year for every member of the Cardinals. At the start of the season, Herzog turned to Neil Allen to succeed Sutter as the team's closer. Unfortunately, Allen would struggle mightily in April and was used less and less by Herzog until he was ultimately sold to the New York Yankees on July 16. Allen was happy to leave St. Louis and no longer have the weight of the Hernandez trade hanging over his head. The righty had gone 1-4 with just 2 saves and a 5.54 ERA over 29 innings with St. Louis but would rebound in New York and help the Yankees go to the wire against the Toronto Blue Jays for the AL East crown. The biggest win for Allen, however, occurred towards the end of his career when he overcame his problems with alcohol. Since retiring, Allen has stayed in the game as a minor league pitching coach and served as bullpen coach for the Yankees in 2005. Ownbey was a non-factor in the Division race as he spent the whole season in Louisville, finishing the year at 10-9 with a 3.42 ERA in 25 minor league starts. During the '85 season, Hernandez was forced to come face-to-face with the whispers of substance abuse that had followed him around the last few years when he was called to testify, on two separate occasions, in front of a grand jury at the Pittsburgh Drug Trials--once during spring training and later in the thick of the Division race on September 6. During his testimony, Hernandez called cocaine "the devil on this earth" and admitted that he started using the drug during the 1980 season, a campaign that despite his success--Hernandez finished a close second to Bill Buckner for the NL batting title and led the league in runs scored--had been particularly tough on him since he and his wife separated during the All-Star break. Hernandez used cocaine recreationally until just before the June 1983 trade, when he kicked the habit for good after seeing Cardinal teammate Lonnie Smith miss a game because of the drug. 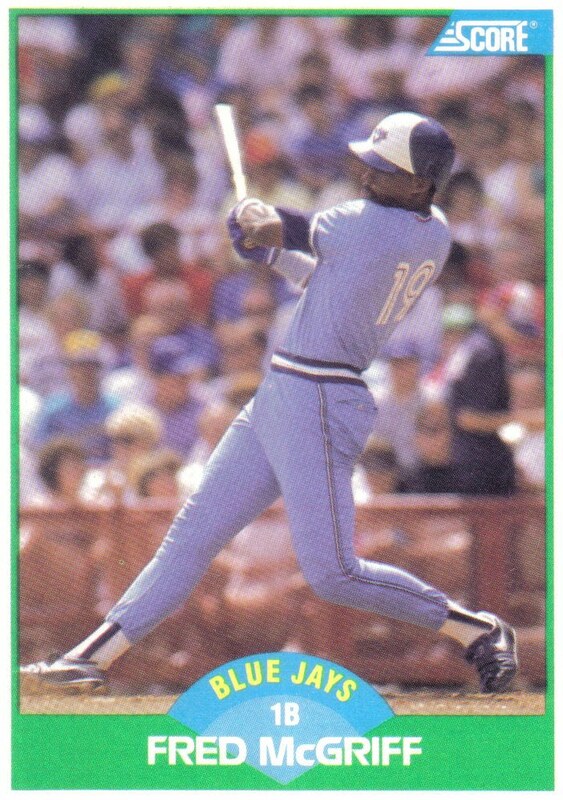 Despite the off-the-field distractions, Hernandez had another solid season in '85, finishing with 10 home runs, 91 RBIs, and a .309 batting average. Even with the second testimony looming over his head and the ensuing controversy that followed, Hernandez was at his finest during the final weeks of the close Division race, hitting an eye-popping .395 with a staggering .457 OBP from September 1 until the end of the season. Hernandez tied Tudor for 8th place in the NL MVP vote and continued to showcase his brilliance with the glove, leading NL first basemen in fielding percentage and assists, picking up his perennial Gold Glove at season's end. Hernandez documented the ups and downs of his tumultuous '85 campaign in "If At First: A Season With the Mets", his day-to-day account written over the course of the season. "If At First" gives insight into his rivalry with Herzog during that time. Hernandez pulls no punches in his criticism of his former manager and the trade that sent him to New York. Hernandez is perturbed by the general consensus that Herzog dealt him away because of his cocaine use--a habit he had kicked before the trade. Hernandez reasons that most of what spurred the trade was Herzog's interest in acquiring Neil Allen and a personality clash between himself and Herzog. 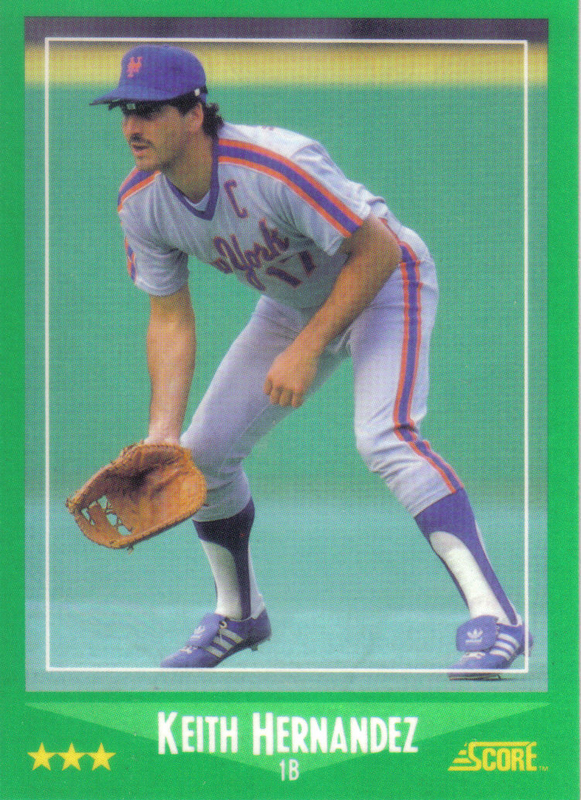 Hernandez adds, that according to Mets coach Bobby Valentine, from the moment Herzog joined the Cards, he regularly discussed trading him during Winter Meetings. Herzog himself has stated that he originally offered Hernandez to the Cubs in the deal that sent Bruce Sutter to St. Louis prior to the '81 season. The rivalry between Hernandez and Herzog was heightened by the fierce Division battle between their two teams. In his book, Hernandez recounts how Herzog engaged in some gamesmanship, complaining to the league office about his left foot being in foul territory while holding the runner--something the first baseman regularly did while playing for Herzog. Yet, Hernandez also praises Herzog, stating that his "admiration for Whitey as a field manager--and for putting together a practically new team after winning the World Series three years ago--knows no bounds." Unlike the '85 season, the '86 NL East Division race had little drama to it: the Mets simply dominated from the start, winning 20 of their first 24 games--including a statement-making four game sweep against the rival Cardinals in St. Louis. New York already had a 13.5 game lead by the All-Star break and never let up, finishing with a final record 108-54 and a 21.5 game lead over the second place Philadelphia Phillies. Hernandez contributed to the Mets' superiority with another excellent season, batting .310 with 13 home runs and 83 RBIs. The keen-eyed veteran also showed his patience at the plate, drawing a league leading 94 bases on balls and finishing behind only Tim Raines in the NL with a .413 OBP. Hernandez displayed his defensive prowess, leading all NL first baseman in fielding percentage and was honored with his 9th consecutive Gold Glove. Hernandez also continued to receive praise as the on-field leader of the dominant Mets and finished 4th in the NL MVP vote. In one of the most memorable postseasons ever, New York eliminated the cagey Houston Astros in six hard fought NLCS games but then stumbled against the AL champ Boston Red Sox, losing the first two games of the Series at home. The Mets roared back to tie the Series with an improbable 10th inning rally in Game 6. In Game 7, down 3-0 with the bases loaded in the bottom of the 6th, Hernandez stepped to the plate to face Bruce Hurst, winner of Games 1 and 5. Just as in the '82 Fall Classic, Hernandez came up big with a two-run single that helped set the stage for Gary Carter's game-tying fielder's choice one at bat later. In the bottom of the 7th, Ray Knight broke the tie with a home run and Hernandez padded the lead with a sacrifice fly to make it 6-3. Hernandez's insurance run proved to be important as Dwight Evans' two-run double in the top of the 8th brought Boston to within one. However, New York would hold on to win 8-5 and bring the franchise its second World Championship. In contrast to New York, St. Louis and Herzog slumped badly in '86, finishing a distant 3rd with a 79-82 record. Ownbey made his way back to St. Louis during the '86 season and made three starts in April before being sent back to the bullpen. Ownbey went 1-3 with a 3.80 ERA over 42.2 innings before being demoted back down to Louisville. Ownbey left the organization as a free agent at season's end and signed with the Royals, making four appearances with their AA affiliate, Memphis, in what turned out to be his final year in professional baseball. With Ownbey's departure from the St. Louis organization representing the last link between Hernandez and the players the Cardinals received, the trade had indeed come full circle for the first baseman. In a little over three years, Hernandez had helped the Mets not only emerge from the depths of being the laughingstock of the NL to become a perennial winner, but had also played a significant role in leading the team to the World Championship, something that seemed unfathomable at the time of the trade. Though Allen and Ownbey were gone from St. Louis by no means was the rivalry between Hernandez, Herzog, and their respective teams over. In 1987, Hernandez hit a career high 18 home runs but in a Division race reminiscent of 1985, the 95-win Cards held off a late season charge by the Mets to take the NL East by 3 games. However, the Redbirds would, once again, fall one win shy of a World Championship, this time at the hands of the Minnesota Twins. New York came back strong in '88, easily picking up the NL East crown, finishing the season with 100 wins and a 15 game lead over second place Pittsburgh. Yet, their bats were silenced by Orel Hershiser and the strong pitching of the Los Angeles Dodgers who upset the Mets in a close seven-game NLCS. During the '88 campaign, injuries plagued the usually durable Hernandez--who prior to that season had never been on the disabled list--causing the veteran first baseman to miss more than a third of the team's games. Despite the injuries, Hernandez still put up deceivingly strong numbers in a season dominated by pitchers and won an unprecedented 11th straight Gold Glove Award. Moreover, the team played at a much higher .684 win/loss percentage in games started by Hernandez than the .538 clip they played at when he did not. Unfortunately, Hernandez's '88 injuries marked the beginning of the end for the cerebral first baseman. A broken kneecap the following May caused him to miss nearly two months of the season and upon his return, the Mets' on-the-field general was unable to play at his established level. The '89 Mets finished with a 87-75 record, 6 games behind the Cubs, in second place. At the end of the season, Hernandez's contract expired and the Mets franchise chose not to re-sign their veteran first baseman. Hernandez's departure from New York closed the book on the most successful era in the franchise's history. In his six full seasons with New York, the team never finished lower than 2nd, averaged an amazing 96 wins per season, won two Division titles, and one World Championship. That was in stark contrast to the six consecutive losing seasons--which included four last place finishes--prior to the Hernandez trade. 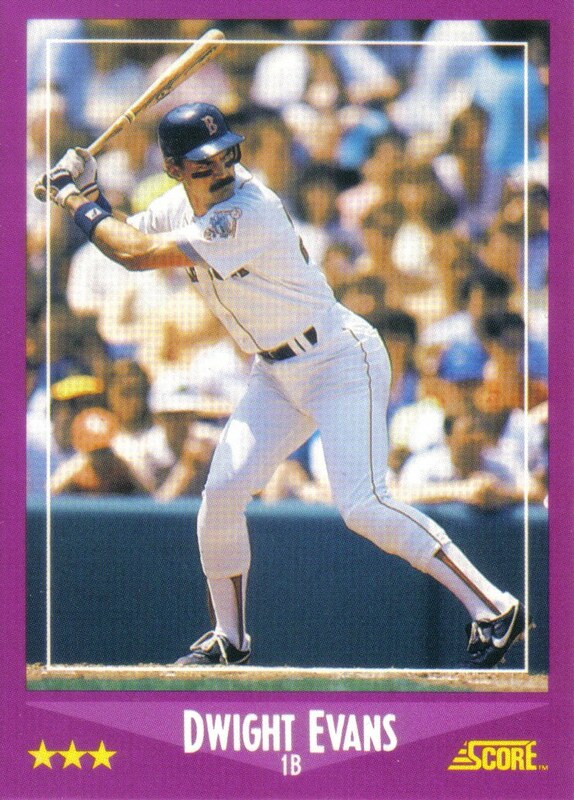 Hernandez signed as a free agent with the Cleveland Indians but a recurring calf injury kept him off the field and limited him to just 43 games for the '90 season. A bulging disk hampered Hernandez the following Spring and he sought a second opinion before undergoing back surgery. Although the surgery was considered a success and was only supposed to keep him out of action until the All-Star break, Hernandez never played another game. Without the presence of Hernandez, the Mets lacked adequate veteran leadership and got off to a disappointing 20-22 start, costing Davey Johnson his job. The team temporarily resuscitated under new manager Buddy Harrelson and finished the season strong at 91-71, just losing out to Pittsburgh for the NL East crown. However, the franchise struggled the following season, tumbling to a 77-84 record. The front office tried addressing the club's leadership vacuum, signing sought-after veteran sluggers Bobby Bonilla and Eddie Murray. Though, unlike Hernandez, neither Bonilla nor Murray would be a good fit for the Big Apple and the team dropped to 72-90 in '92, before completely bottoming out with a MLB worst 59-103 record in '93. After leading the Redbirds to their third Pennant in six years, Herzog struggled to field a competitive team in St. Louis. The '88 team stumbled out of the gate and was never a factor in the Division race, finishing a distant 5th with a 76-86 record. St. Louis rebounded the following year and battled Chicago and New York for the East, but a 7-game losing streak in September ended their chances and the team finished the year with an 86-76 record, 7 games behind the Cubs, in 3rd place. Towards the end of the '89 season, Cards' owner Gussie Busch passed away at age 90. With the death of Busch, Herzog lost one of his most ardent supporters within the organization. Going into the 1990 campaign, many of the team's key players would be eligible for free agency at season's end. Herzog scoffed at the front office's indecisiveness in offering the impending free agents contract extensions and feared those players would play for personal statistics over the best interests of the team. The '90 Cards got off to a dismal start and by mid-June were already a dozen games out of first, battling to stay out of the cellar in the NL East. In early July, the Redbirds were swept by the Giants and Herzog, fed up with the front office, the direction of the franchise, and the selfish play of his charges, decided he'd had enough. Two days later, on July 6, Herzog officially resigned as manager of the Cardinals. The team's listless play against San Francisco had been the final straw for Herzog who said "I was totally embarrassed by the way my ball club played up there." A worn out Herzog took responsibility for the team's failures, adding, "I just can't get the guys to play and I think anybody could do a better job than me." At the time of his resignation, Redbirds sat at the bottom of the NL East with a 33-47 record, 15 games back. Cards' coach Red Schoendienst replaced Herzog on an interim basis until the franchise hired Joe Torre as a permanent replacement in August. The '90 Cards finished the season last in the NL East with a 70-92 record and most of the impending free agents signed with other clubs during the off-season. Similar to Hernandez's exit from New York, Herzog's leaving St. Louis represented the ending of an era. After winning three Pennants and two World Championships in a five-year span during the decade of the Sixties, the St. Louis franchise suffered through a lackluster Seventies before Herzog brought the club out of their malaise and back to their winning ways, leading the team to three Pennants and a World Championship in the Eighties. The Cards rebounded in 1991, going 84-78 to finish a distant second to Pittsburgh, but without the guile and direction of Herzog, the Redbirds would make just one playoff appearance during the Nineties. Hernandez returned to baseball as a television commentator for New York Mets games in 1999. After resigning from the Cards, Herzog never managed again but did work in the California Angels' front office for a few years in the early Nineties. In 2010, Herzog received baseball's highest honor when he was inducted into the Baseball Hall of Fame after being voted in by the Veterans Committee. Just as the trade came full circle, Hernandez and Herzog's relationship has come full circle as well--as time has seemingly healed any bad blood between the two men. In 2008, Hernandez was inducted into the Missouri Sports Hall of Fame. During his induction he called Herzog the best manager he played for and spoke passionately about the influence the former Cards skipper had on his career. It appears that over time, Hernandez came to accept that, although he had kicked the cocaine habit before being dealt, his suspected drug use was at least some of the reason for the trade. Hernandez has reached out to Herzog to smooth over any past tension between the two, something his former manager has commended him for, "You know, Hernandez called me and thanked me so many times." Herzog said, "And he wrote me a real nice letter, that he appreciated how I protected him and never said anything about the drugs, took the heat for three years over that." Herzog has also been complimentary of Hernandez, saying that his former first baseman "is a heck of man." Unlike Herzog, Hernandez has yet to be voted into the Baseball Hall of Fame. The Gold Glove-winning first baseman managed to last nine years on the BBWAA ballot but each time fell short of the 75% of the vote required for election. However, Hernandez's failed Hall of Fame candidacy could get a second chance as he is now eligible to appear on the upcoming ballot for the Expansion Era Committee, which will convene to vote at December's Winter Meetings. The Expansion Era Committee assembles once every three years and Herzog was actually one the Committees' 16 panel members chosen to cast a vote the last time the Committee met in 2010 and elected retired GM Pat Gillick to the Baseball Hall of Fame. The Expansion Era Committee will likely include many of the same panel members from the previous election to vote on December's ballot, and if that is the case, Herzog could play a part in whether or not Hernandez is elected to the Baseball Hall of Fame.